 1) The goal of BLITZ CHAMPZ is to be the first player to score 21 or more points. 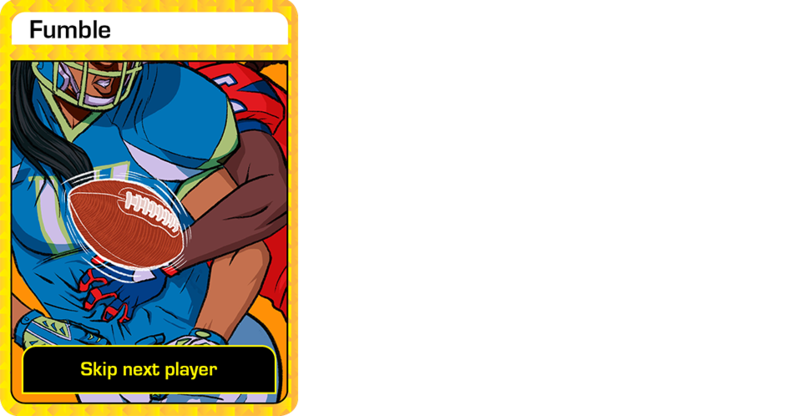 The game is for 2-6 players, ages 7 and up. 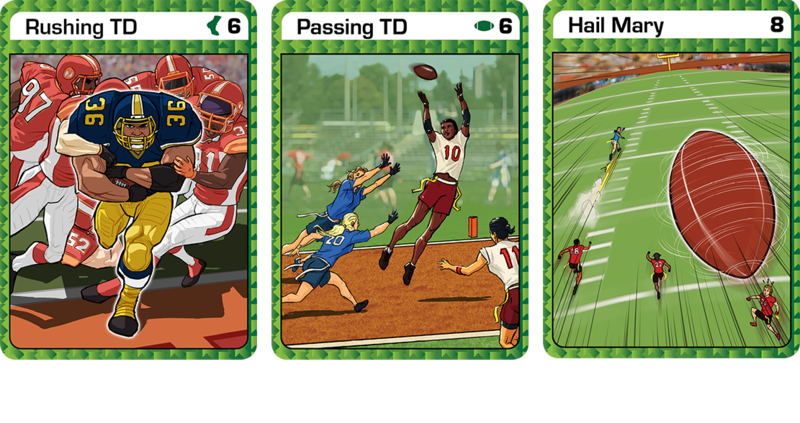 Every player starts with five cards, dealt face down.  The remaining cards are placed in a Draw Pile face down. Next to the pile, a space should be designated for a Discard Pile. 1.  Placing an Offensive Card in one’s own area to count as points towards achieving the 21-point goal. 2. 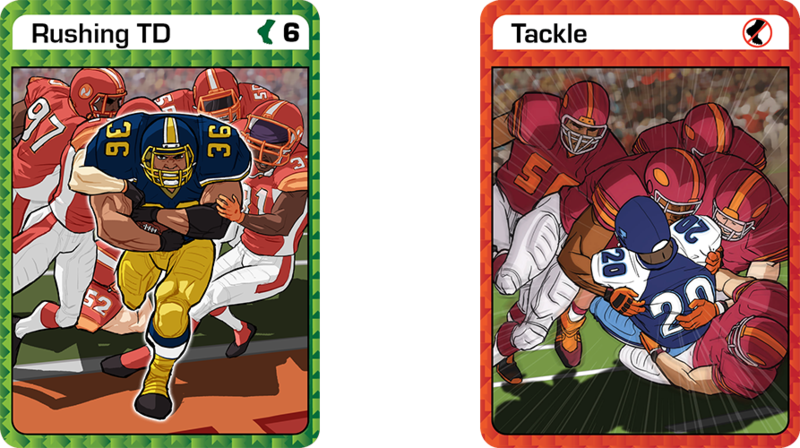 Using a Defensive Card to take an Offensive Card away from the previous player, and placing both the Defensive Card and the other player’s Offensive Card in the Discard Pile. 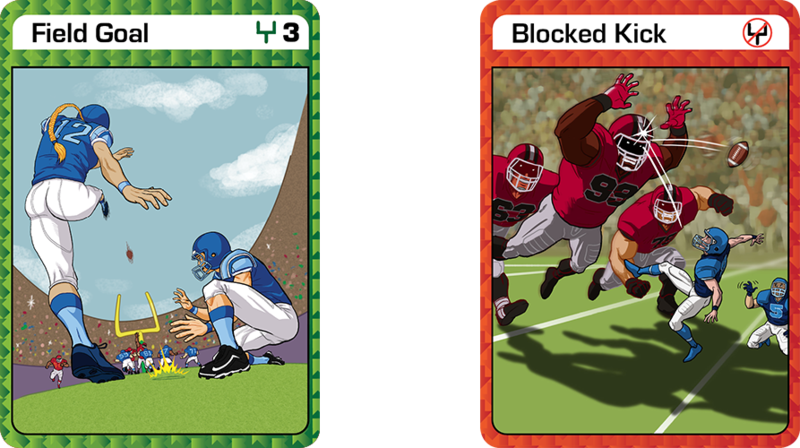 A Defensive Card can only be used to remove the most recent Offensive Card played by the previous player. 3.  Placing a Continuation Card in the Discard Pile.  If the Continuation Card is any of the following: First Down, Pass Completion, 5-yard Run or Blitz – the player must complete the required action listed on the card.  A player can only utilize one (1) Continuation Card per turn. 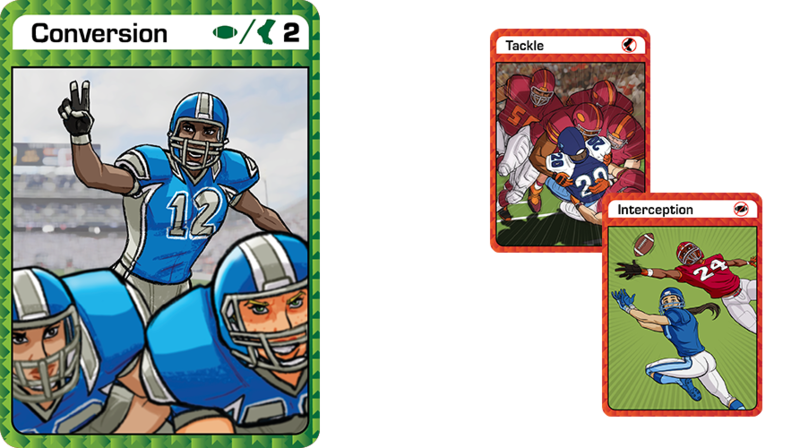 Once a player has taken one of the above three actions, play continues with the next player drawing a card from the Draw Pile and taking one of the three actions listed above. Gameplay continues until a player achieves 21 or more points.  Once a player reaches 21 or more points, the next player has one turn to bring that player back down to 20 points or less. 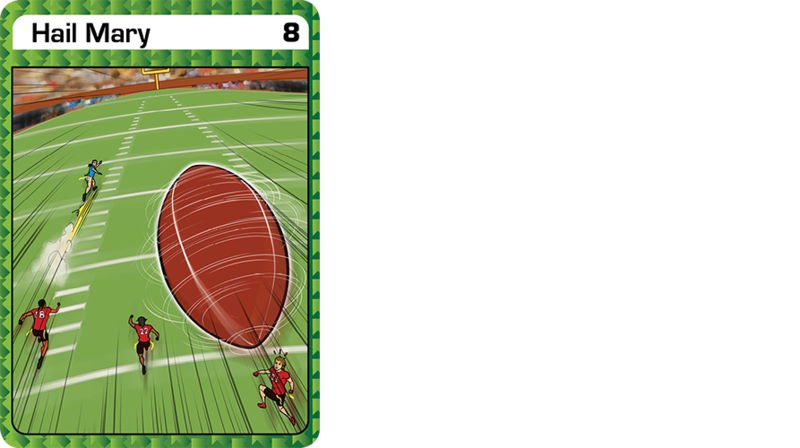 If this is not achieved, the player with 21 or more points wins the game!  A player initiates the scoring process by placing an Offensive Card on the table/floor in front of them. 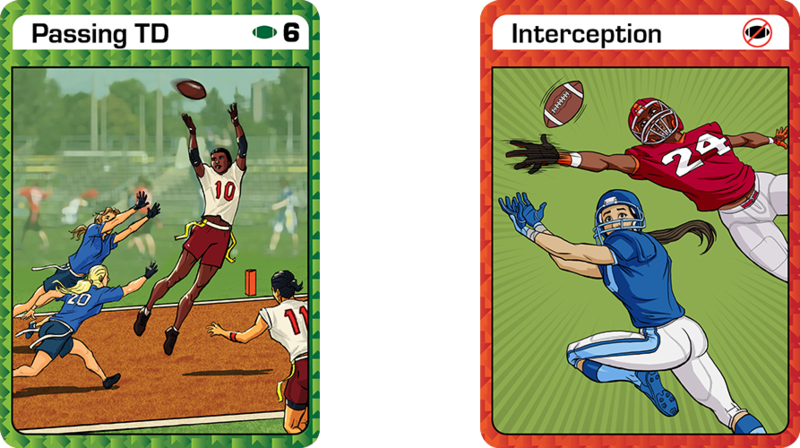 Offensive Cards can be played in any order (e.g. 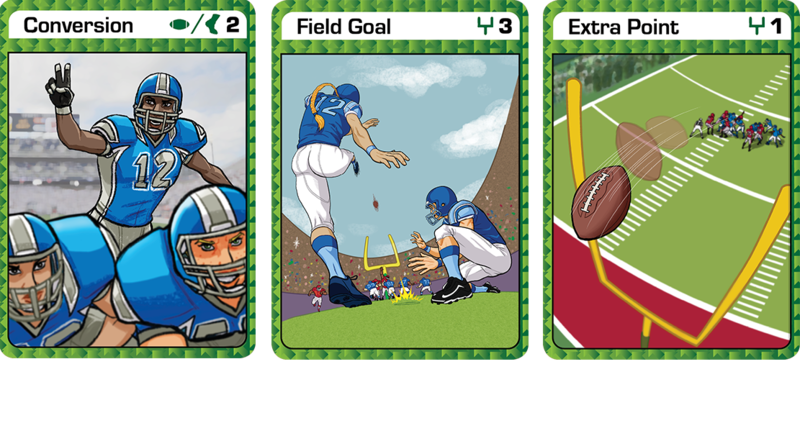 an Extra Point card can be played even if a player has not previously placed a Touchdown card). 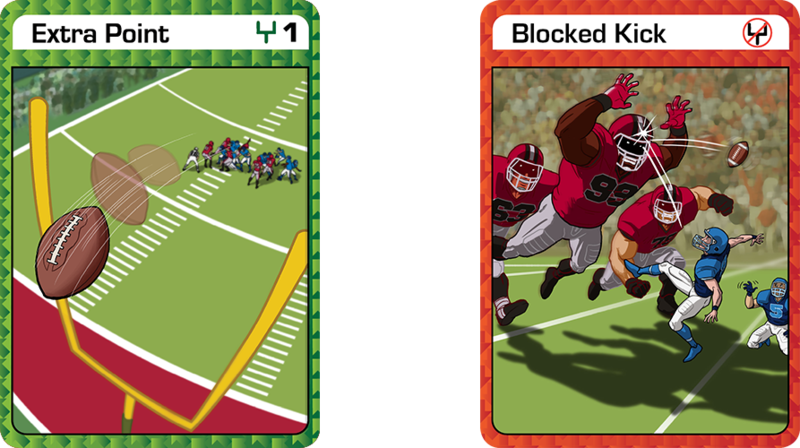 The points associated with the Offensive Card count only if the next player does NOT remove them using a Defensive Card.